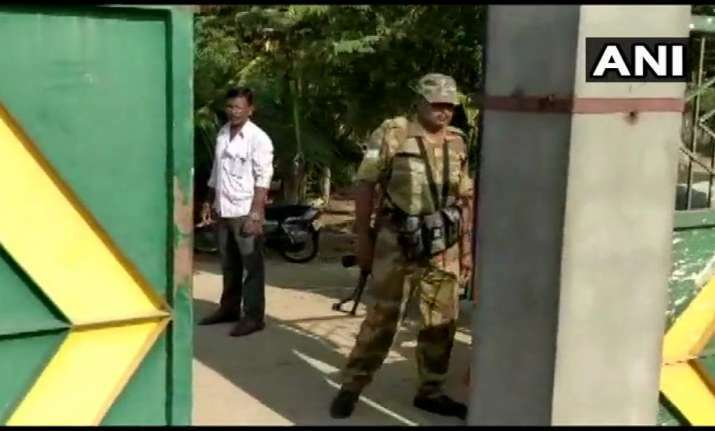 Income Tax raids are underway at two different locations of Zilla Panchayat President & JD(S)'s Nagarathna Swamy and another member of the Zilla Parishad, in Mandya's Maddur. Teams of Income Tax (IT) sleuths raided certain businessmen in Bengaluru, Hassan and Mandya in Karnataka on credible information of tax evasion on undisclosed income and assets, an official said on Tuesday. The raids were on in 5 residences at Hassan and one residence each at Mandya and Bengaluru. Hassan is 180 km northwest of Bengaluru while Mandya is 100 km southwest of the state capital. The tax raids resumed a day after the ruling Congress and Janata Dal-Secular (JD-S) wrote a joint letter to the Election Commission seeking the transfer of Income-Tax Director-General for Karnataka B.R. Balakrishnan from Bengaluru for carrying tax raids on their leaders, contractors and traders close to them. "In view of the partisan tax raids on our political leaders, their relatives, contractors and traders ahead of the Lok Sabha elections in the state on April 18, Balakrishnan has to be transferred outside the state," said the allies in a joint letter to Chief Electoral Officer Sanjiv Kumar here. As ensuring free and fair elections on a level-playing field for all the parties was the poll panel's responsibility, the allies said the tax office was selectively raiding their candidates and associates in the state since March 28. On April 13, the tax sleuths raided the premises of Congress candidates B.N. Chandrappa, contesting from Chitradurga, Prakash Hukkeri from Chikkodi and Rizwan Arshad from Bangalore Central though nothing incriminating was found from them. "By selectively targeting our candidates, Balakrishnan is trying to show that only we are flush with funds and not any candidate of the BJP," said Congress state unit President Dinesh Gundu Rao in the letter.